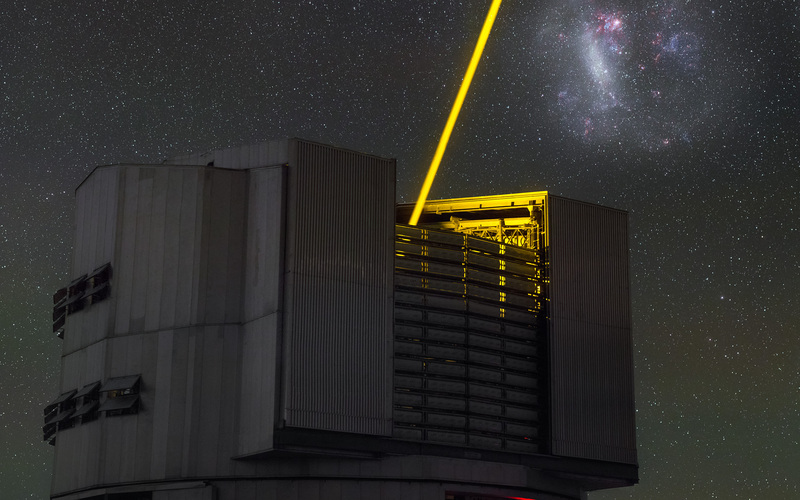 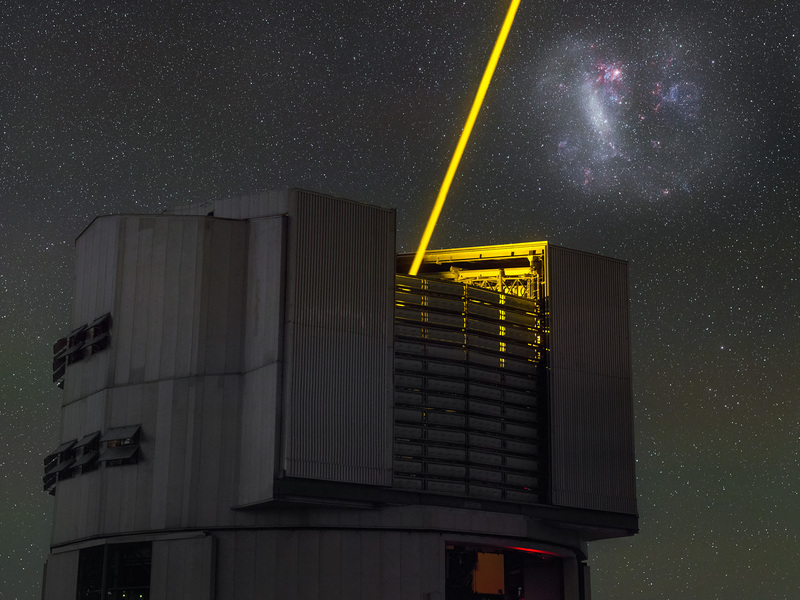 This image, taken by ESO Photo Ambassador Petr Horálek, captures the moment that Yepun (UT4), one of the four 8.2-metre Unit Telescopes comprising ESO’s Very Large Telescope (VLT), shoots a laser beam up into the dark night sky over ESO’s Paranal Observatory in Chile. 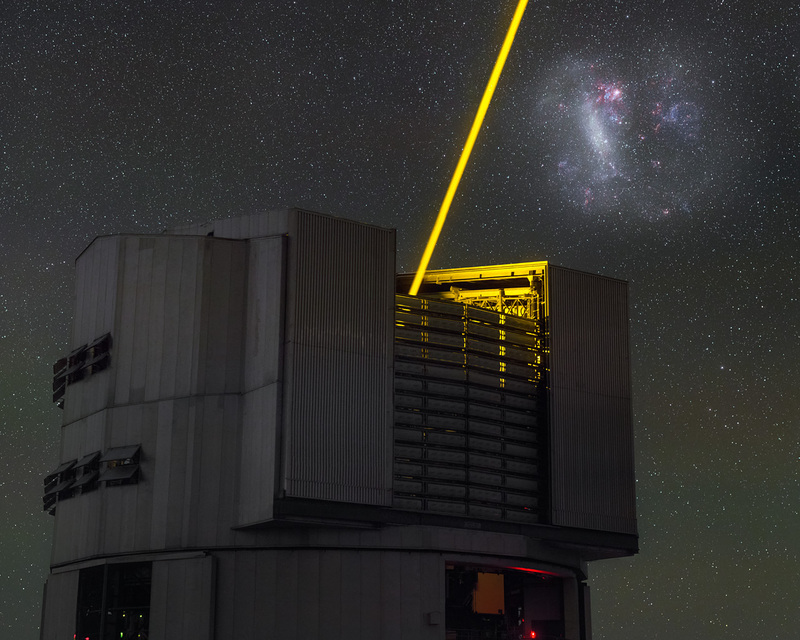 The LMC, as well as its smaller namesake, the Small Magellanic Cloud (SMC), have been studied many times by ESO telescopes over the years. 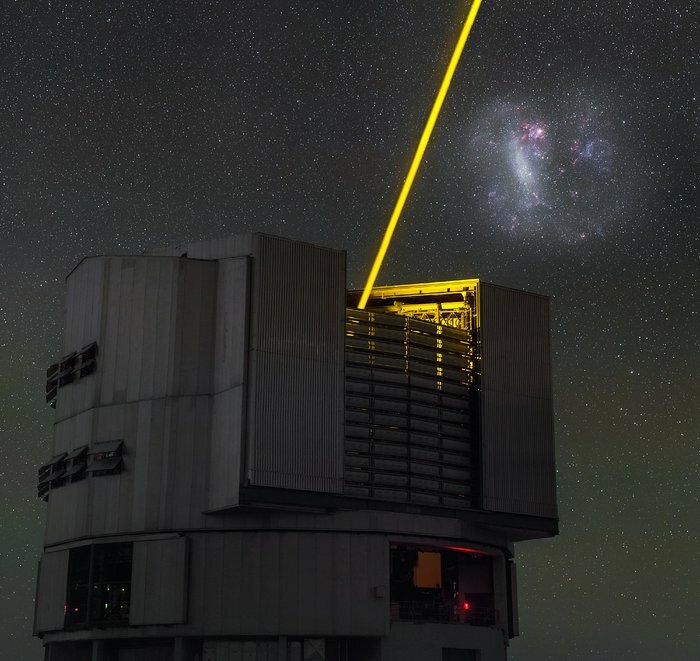 Its many cosmic delights, including nebulae (eso0332) and star clusters (eso1133), can be seen in detail due to their proximity, and provide amateur and professional astronomers alike with breathtaking targets for observation.